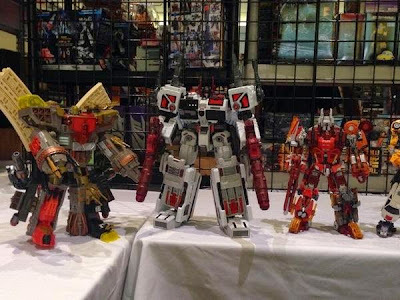 Botcon 2014 was held this weekend in Pasadena, California. Like previous one, it was a chance to get a look at some of Hasbro's plans for the Transformers line for the next year. 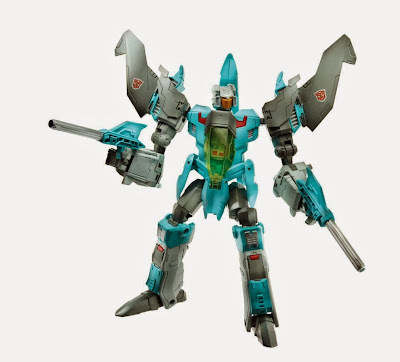 No major news was revealed but Hasbro is continuing the lines along the same paths as this year. For Age of Extinction they showed off a bunch of upcoming one-step changers and multi-packs that use existing molds. 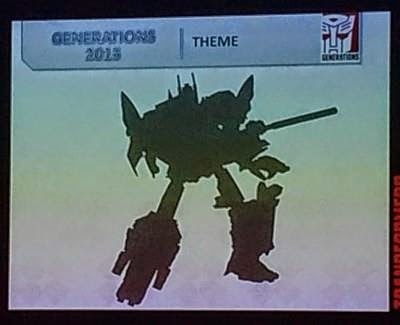 The most interesting toy news was on the Generations front with plans for a G1 inspired designs for Megatron and Optimus Prime, official return of the headmasters with Brainstorm. 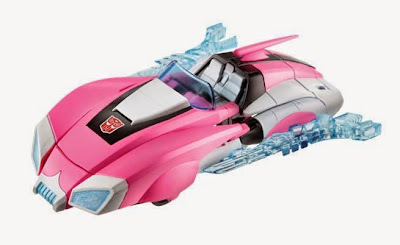 Part of that is two firsts - after nearly 30 years getting a true G1 Transformers: The Movie inspired version of Arcee along with for the first time to my knowledge having a Chromia figure that isn't simply a repaint of Arcee but an actually new mold (Cybertronian motorcycle). IDW revealed a few of their upcoming mini-series plans involving Windblade and Drift. Below are highlights from each of the panels. After that are links to a ton of official photos along with galleries from the floor. Last but not least is a video of Hasbro's toy display. Basically the news looked good but I also get the impression that Hasbro was holding back for San Diego Comic-Con. - Said push to simplify transformations was because if kids can't transform them, they do not buy again (Agree, my cousin's first TF was an Alternator as my advice wasn't asked. It was way beyond his age, soured him to the entire franchise). 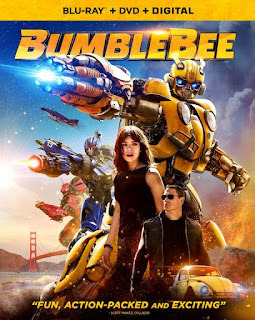 - Transformers: Empire of Stone that follows Drift since leaving the Lost Light. - Arcee wins fan vote for TF Hall of Fame, Rodimus other inductee. Stan Bush was the human inductee. 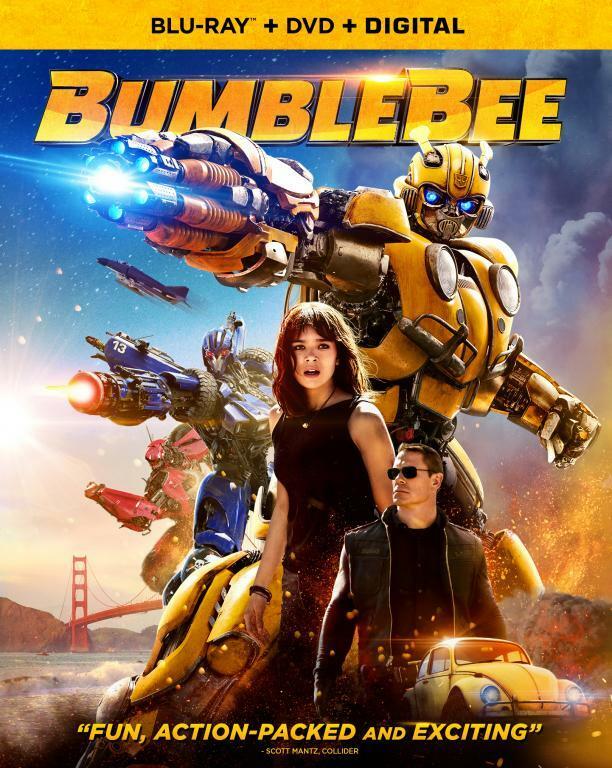 - Rest was just a look at the Dinobots over the years and other Transformers things, no new news. 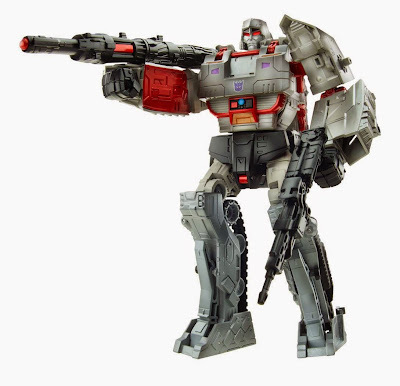 Transformers Collector's Club - Hit link for images of current and upcoming repaints from the club.